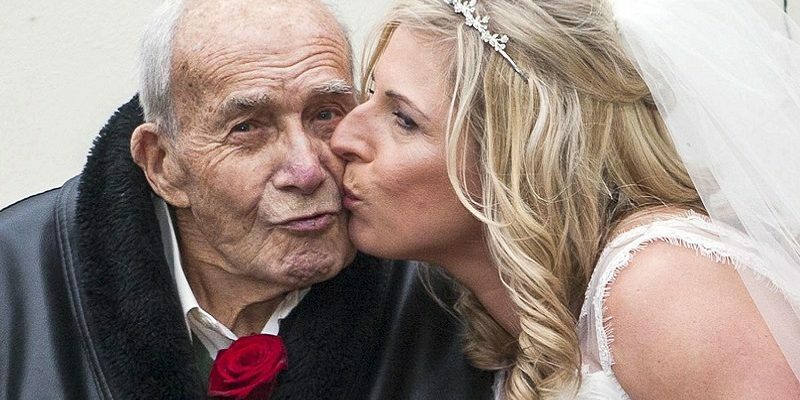 104-year-old World War II veteran George Atkinson became the world’s oldest man to give a bride away after stepping in at this granddaughter’s wedding. 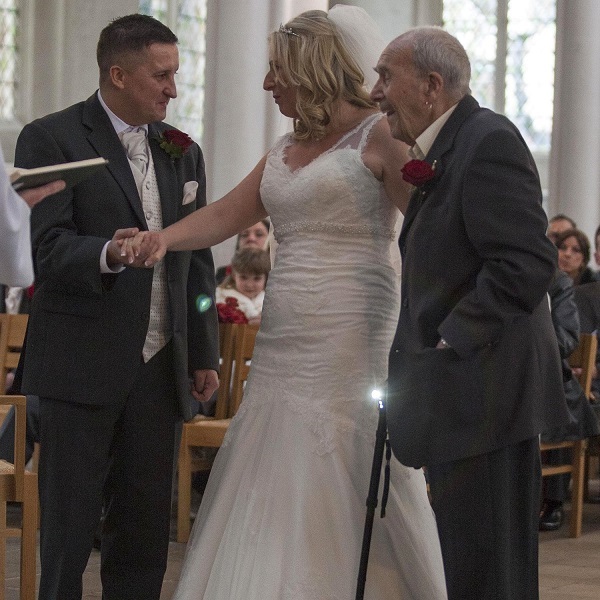 Bride Sally-Ann Cockman’s father Roy passed away from cancer in 2008, so grandfather George walked Sally-Ann up the aisle and in doing so entered the Guinness Book of Records. 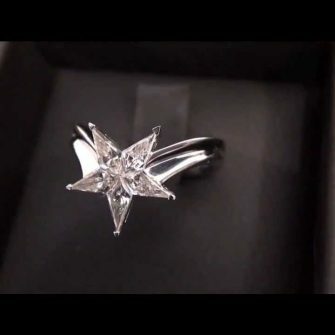 Wearing an earring, grey suit and rose corsage, George smiled from ear to ear as he handed Sally-Ann over to her groom. 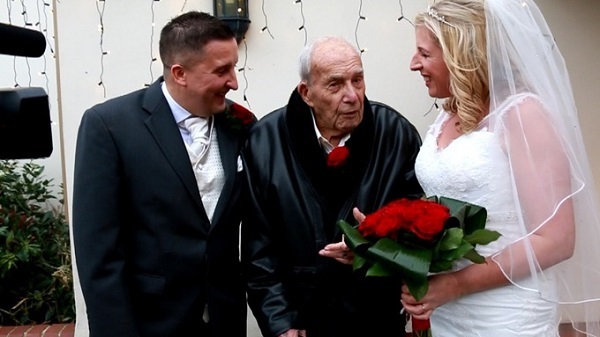 The world’s oldest ‘father of the bride’ has featured on ITV Anglia before and is well known in his local area for enjoying a cigarette, a gin and gamble. For George’s 104th birthday he was given a present of £104 in free bets from the bookies and met jockey AP McCoy on Grand National Day. 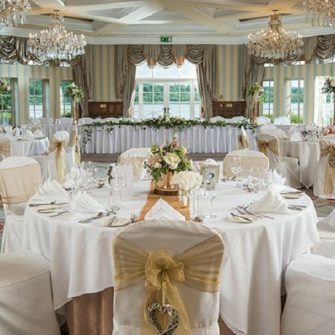 Great-grandfather George was also the best man at the wedding, which reflects the move towards choosing non-traditional wedding parties. 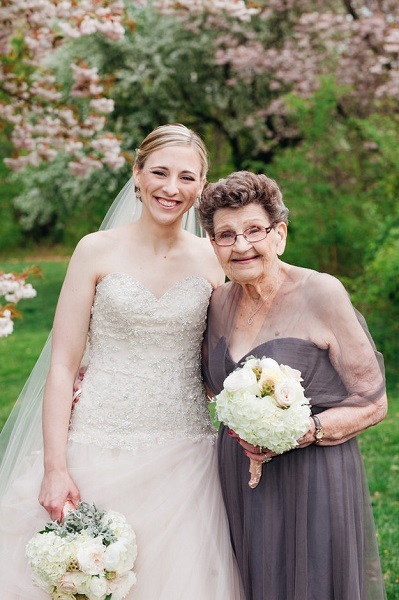 WJ recently covered the story of the 89-year-old grandmother ‘Nana Betty’ who was her granddaughter’s bridesmaid.